Hello Scrappers! It's Kim here with some news...some sad news in fact. It is with heavy heart that I announce Lena is retiring from designing. 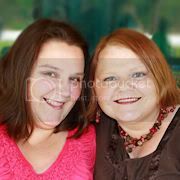 The Bella Gypsy Duo will be no more but Tabatha will continue on by herself after the first of the year and will sell at Elemental Scraps, Gotta Pixel and A Cherry on Top. You will still get the same awesome kits but it will be a solo act. What does this mean for you? 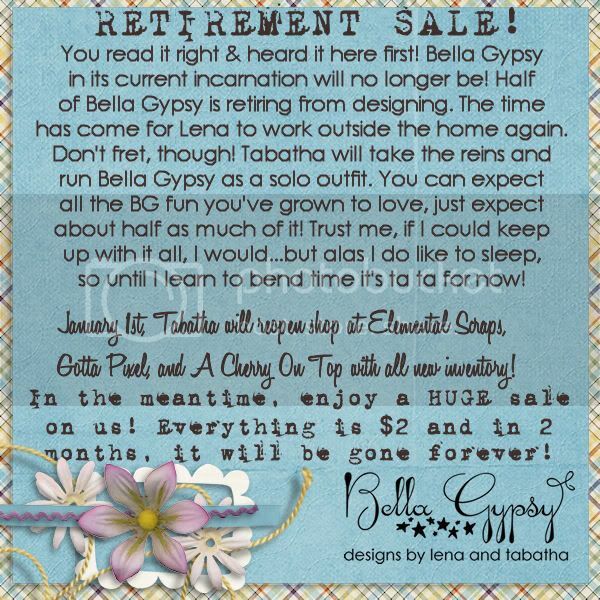 The Bella Gypsy Duo is having a HUGE end of the year sale. For the next two months everything will be $2 in their stores but you have to act fast because at the end of the year it will all retire for good. Tabatha will open her new stores with brand new goodies that will surely knock your socks off! Check out their sales at Elemental Scraps and Gotta Pixel...you won't be disappointed!